AM: We only met for the first time in 2011 but I have been delighted to do so as I have been aware of some of your writing about Bob Dylan for many years. I hadn't realised that you were a poet and that you have managed to develop a career as such. Can I start by asking what your stated occupation is on your passport? JL: It's been a pleasure meeting you too, Andy. My old passport, now expired, doesn't record an occupation. If it did, it would now be 'Poet & Creative Writing Tutor'. I've read many views on the self-application of the word 'poet', varying from the “Nobody has the right to call themselves a poet” (what should I say though – 'plumber'?) to Roger McGough's remembrance of Heaney once saying something along the lines of “If you write a poem - you're a poet”. I've always liked the remark by Tony Curtis (the poet, not the actor) that “Poets often go disguised as respectable people”. AM: Before we talk about your current work and the significant milestones on your journey to this point, can I ask about your early forays into writing creatively? Was there one piece that you can remember as the very first poem or story or whatever? How old were you? And was this the first piece that provided that vital external acknowledgement and validation, the first piece you had published? JL: My first poem, written when I was about 13 or 14, was about Muhammad Ali who I idolised at that time. The poem, as was the case with most of those in my teens, was awful! The first piece I had published was in my local newspaper and I soon learned that that doesn't really count, as local rags will publish almost anything. I was in my mid-twenties before I began submitting work to magazines and my first acceptance was by the New Manchester Review. AM: Muhammad Ali, eh? I’d guess that most teenage lads who idolise a boxer might themselves be tempted to climb into the ring at a local youth club or some dive down the darker end of town. I’m wondering why you chose a literary response? Presumably you were a reader, maybe a writer too, as a child? Can you describe your early literary influences – people, books etc - before that very first poem and also the subsequent period until the acceptance by the New Manchester Review? JL: All of my early poems were sports related. 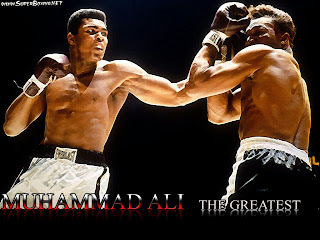 I was a football fanatic and boxing was not something I ever imagined would capture my imagination. For a few years though, I was subscribing to U.S boxing magazines and reading what I could find on the history of the sport. Ali was the catalyst for all this: the most spellbinding and charismatic figure I'd encountered – both in the ring and out of it. With the stripping of his title following his Vietnam draft refusal my interest in boxing ceased immediately. Why a literary response? Well, English was the only subject at school in which I excelled to any degree and the poetry of others (although I can't recall anyone specifically) was already beginning to appeal, even before I entered my teens. Around the ages of 15 and 16 the Liverpool Poets – McGough, Patten and Henri – were influences outside the school curriculum (though, strangely, not the Beats whose work I distrusted), whilst in school the WW1 poets were an inspiration, if not an obvious influence on my writing. Dom Moraes, an Indian poet writing in English, had a huge influence (on occasion, almost to the point of plagiarism!) on my early attempts at poetry. I have a collection of his, borrowed, and inadvertently never returned, from Stockport Library in 1972. I hope that no librarians will be reading this on your Blog, Andy. I fear that my fine, for long overdue return, will be astronomical. AM: Well, my Blog needs all the readers it can get but I think you are safe as librarians, sadly, seem to be fighting for survival at the moment in the currently philistine political climate (imo). Your response above, John, raises a number of interesting points – and coincidences. I’m conducting two other interviews concurrently with this one, the first with my friend the Derbyshire poet, David Duncombe, who was a very keen boxer and the other with my old school friend, Roger Draper, my ‘first editor’, who introduced me to the Beat Poets around 1964. Of the themes we could pursue, I suppose at the moment I’m most interested in your comment about not trusting the Beats. I was swept away by Kerouac’s The Dharma Bums at the time although I haven’t revisited it from a more mature position (and suspect I would find it – and my younger self – terribly naive). But I do still find lines from Ginsberg’s Howl surfacing in my consciousness at times and I do still like it. Can you say a bit more about your early distrust of those writers? JL: I think that this distrust stemmed from the fact that the poetry of Ferlinghetti, Ginsberg, Corso and others was so alien to my limited understanding at the time of what poetry was and is. The experimental, free-form nature of much of this stuff left me baffled and I was suspicious that there was a large element of con about it. I was totally unaware of precedents to their style from the likes of Rimbaud nearly a hundred years earlier. Certainly, my understanding and appreciation of works like Kaddish and Howl grew fairly rapidly in the years following my earlier dismissal. I do still find some of the Beats' work wildly inconsistent and uneven. Ginsberg, for instance, was, at his best, a powerfully compelling, mesmerising and exciting poet (and performer), in my view. At his worst, I regard the results of his resistance to anything that might display the vaguest notion of crafting, as rambling and sloppy. He once said (in a stance against the redrafting of poems), “First thought – best thought.” It prompted the succinct response from one reviewer of one of his collections, “First read- last read.” I always felt that I came to some of the Beats' writing too early, and to others - Kerouac's On the Road and (though not really classed with that movement) Salinger's Catcher in the Rye - too late. I didn't read those two books until well into my twenties. What effect they would have had on my feelings and actions at say, seventeen, I can only imagine. AM: Yes, I understand and think I feel the same from my rather limited reading of Ginsberg. Incidentally, and I know this probably sounds pretentious, but I genuinely prefer, in both Kerouac’s and Salinger’s cases, their other books. I couldn’t finish On The Road but loved the evocation of his 1930s French Canadian upbringing in some of his other books. I did rate ‘Catcher’ more but nowhere near as highly as Salinger’s strange and wonderful tales of the Glass family in his other books. Of course these writers, especially Ginsberg, bring us closer to Bob Dylan who I’m looking forward to discussing with you. But before we do, can you fill me in on some of the milestones in your writing career? 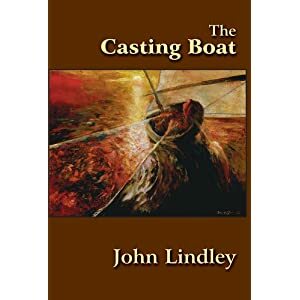 I know that you were recently the Poet Laureate for Cheshire and I am in the process of reading, and enjoying very much, your 2009 collection ‘The Casting Boat’. What would you say have been the significant points along the way for you? JL: In the 70s and 80s I'd had some measure of success in a couple of poetry competitions and been fairly widely published in magazines. All of that was encouraging, of course, but the first significant milestone, to my mind, was undoubtedly my first (properly) published collection. On two occasions, once in the early 70s (far too early in my own writing development) and again in the early 80s, I'd self-published pamphlets, but my collection Stills from November Campaigns, published in 1998 by Tarantula – a Manchester poetry press with, believe it or not, no Bob Dylan connection whatsoever – was a real lift. I'd suffered a long bout of writer's block from 1990 – 1996 in which I'd barely written anything, but that collection came after a particularly prolific 18 month period and one in which I was trying very hard to reconnect with the poetry scene: performing at open mic's, submitting work, going out again to see other poets, etc. Each published collection since that first has been a thrill, of course, and, yes, I'd have to list Cheshire Poet Laureate as a milestone too (albeit a fading one. It was back in 2004). Running workshops in Nairobi for a week and giving a reading over there was an unforgettable experience too. Obviously, all of these are personal milestones – significant, I'm sure, in no-one's estimation but my own! Poetry, and any of its attendant 'successes', don't figure too prominently on most people's radar, I'd think. What about you, Andy? What have you viewed as your writing milestones? AM: Thanks John. And well done! As well as ability, obviously, and perseverance, I think it takes guts to live the writer’s, and especially the poet’s, life. You’ve used a quote from a headstone as a title of one of your poems – ‘Foolish enough to have been a poet’ – and, although there is parody here, I’m sure there will have been pressures on you at times to devote yourself to a ‘proper job’, pressures which can play havoc with the muse and the craft. You ask about me. Well, I can never quite consider myself ’a writer’ although I have written and published quite a bit over the years, most of it in my career as an educational psychologist. I’ve been very fortunate to have been a member of a profession that sets pretty high store by folks debating, writing and publishing and there have been a number of very gratifying milestones along the way. In terms of my ‘other writing’, well, pretty much all of it, apart from the really awful doggerel, is in ‘While Giants Sleep’, the subject of this Blog. I was staggered to win the Yeovil Poetry Prize last year and back twenty years or so ago to have been commended in another couple of competitions. My little book ‘Hanging in the Balance’ received a couple of stunning reviews in the climbing press around that time too from well respected writer/climbers, so that was amazing for me. One little ambition of mine had always been to have something published about Bob Dylan. I’d tried to write a poem once, in the late 60s or early 70s, and it was truly ghastly. Awful. But I did get the opportunity in the late 90s to contribute a chapter to an American book and that is also included in ‘Giants’. I’m aware I took the easy option, along the lines of ‘what BD has meant to me’ rather than something more critical or original, but when I thought about it I realised I had nothing really to offer in those respects that had not already been said. You have written about Dylan over a long time span, can you say something about the origins and early days of your interest? 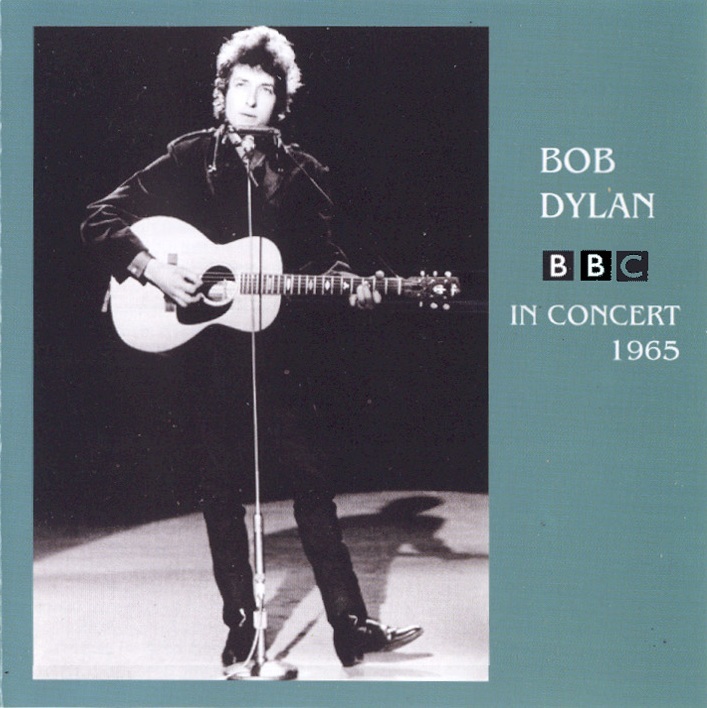 JL: I watched Dylan's broadcast concert for the BBC, split over two successive weeks, in 1965. I knew nothing of him before that other than the fact that he'd written some of the songs Peter, Paul and Mary and Joan Baez performed on records owned by my older sister. I remember really liking what I heard and saw in those broadcasts but it wasn't until 1969 that Dylan's hook became truly embedded in me. That year I read the major interview he did with Jann Wenner in Rolling Stone magazine – an issue that also contained Greil Marcus' wonderful article on Dylan bootlegs. I began, as fast as my limited income at the time would allow me, to buy Dylan's back catalogue of albums. By, I guess, the Pat Garrett and Billy the Kid soundtrack album, I was pretty much up to date and subsequently have bought the albums as they've appeared. AM: So much has been said and written about Dylan, too much in some quarters in my opinion, and yet I still find his work and much of the discussion of it, compelling. I have had periods of disillusion. I’ll admit it, I was one of those who thought at the time that going electric was an ideological crime (‘I was so much older then ...’) and the stridency of his Born Again Christianity in Regan’s America I found very hard to swallow on early listening. But I always find myself coming back, catching up with his changes of direction, and eventually becoming awed all over again by his art. Not all of it necessarily, but a good proportion of his half a century of output. I started this conversation by referring to your writings about Dylan. Can you give an outline of these, and if that leads to you saying more about the nature of that ‘embedded hook’ so much the better. JL: Given my long-term interest in Dylan, surprisingly little of my poetry has referred to him. I read at Congleton Library in late 2010 as part of a celebration of Dylan in poetry and song and found myself having to specifically write a poem for inclusion as I had nothing (at least nothing new and of any worth) of my own to offer! My article writing on Dylan started with a piece published in Endless Road magazine in 1982. Over the years, occasional articles have been published in Look Back, Isis and The Bridge. My most concentrated period of article writing was between 1984 and 1994 for the Dylan magazine The Telegraph, although my output was nothing like as prolific as some of the other regular contributors. Most of my pieces were actually requested (I'd say 'commissioned' but there was no payment involved) by the editor of The Telegraph, John Bauldie. After 1994 I wrote nothing further on Dylan (apart from the editorial for Telegraph 56 in 1997, along with other work on that issue to complete the final edition following John's death) for 12 years. This was a deliberate attempt by me, following the poetry writing block I mentioned earlier, to turn my writing away from Bob Dylan and put the focus back on my own poetry (although I certainly wouldn't seek to attribute blame for my 5 year fallow poetry period on the distraction of Dylan!). Like you, Andy, I guess I was believing that too much was being said and written about him (“Too much information about nothin' – too much educated rap.”) and I no longer felt like adding to it. AM: Thank you for this, John, and especially for bringing together the final issue of The Telegraph following John Bauldie’s tragic death. I have read some but not all of your other pieces on Dylan and, since we’ve met in person last year via a new Dylan Interest Group, I look forward to being able to hear and read more. I wonder whether we can stick with him for just a little longer before concluding this conversation? Over the years I’ve enjoyed sharing my interest in Dylan’s work, and my enthusiasm for it, with various mates. And I suspect that I am not alone in having had to also put up in other quarters with a healthy amount of teasing, sometimes a pitying regard and even the odd spot of anger and vitriol. I accept that this goes with the territory but about 10 years ago a bright but puzzled postgraduate student said to me “Bob Dylan? Did he sing ‘Candle in the Wind’?” It was then I knew that as a society we were failing in our task of cultural transmission, that Ofsted needed to come down even harder on our educational institutions and that I myself had said too little on the topic rather than too much. So, and seriously, if you had 250 words or so to tell this student why Bob Dylan is both important and potentially so enjoyable, what would you say? J.L. Wow! OK. Please allow me though, before getting to my 250 words, to add something to your 'cultural transmission' fear. I'm a lover of older movies – silent era to the early 50s – and, having amassed around 50 poems of mine on the subject of 'cinema' I made, around 10 years ago, approaches to a couple of poetry publishers to gauge their interest in a themed collection. The response from one of them on reading the work was “We like these poems but wonder who, in this day and age, will have heard of Fatty Arbuckle?” Here in 2012, I'm beginning to ask whether we're that far removed from fielding the question “Who has heard of James Dean and Marilyn Monroe?”, such is the current temporary nature of fame and shortness of memory. A get-out: Sorry student, I can't sum up Dylan's importance and the enjoyment that can be derived from his music in 250 words. I can't do that any more than I believe an understanding and appreciation of this brilliant and multi-faceted performer and songwriter can be summed up in one, or even half a dozen, of his albums. That, in itself, is a measure to me of the range, uniqueness and epic qualities of this artist. He is both sparklingly original and deeply informed about, and indebted to, the art of others who went before him. He has been, for long periods of his career, a truly mesmerising, dazzlingly inventive performer and has also been (I have no reservations in adding this) one of rock, folk and blues music's finest singers. Like any serious (and a damn funny one at times too!) artist, Dylan repays long and careful investigation. If that sounds a chore, it shouldn't. A more rewarding and richly enjoyable study would be hard for me to imagine. His songwriting output is vast and sometimes flawed. The shifts in his musical direction can be baffling and questionable. But whilst his contradictions can be maddening, his risk-taking is admirable. That he is a compass to others in song and literature is a bonus. You can listen to Bob Dylan in interview and song and leave and explore in every direction. That he can be mentioned, without apology or qualification, in the same breath as 20th (and 21st ) century songwriters like George and Ira Gershwin, Irving Berlin, Cole Porter, Woody Guthrie, Hank Williams, Lennon and McCartney, Leonard Cohen, Tom Waits and others is testimony to his standing. That he may just be the greatest songwriter of them all may be debatable but it's by no means laughable. I think I've exceeded my 250 words. Told you. AM: Wow again! What a superb summation! Next week’s lectures are all cancelled, bring your record players instead!